Congratulations winners!!!! Please send me an email stating your mailing address and contact number. My email is jerine[dot]lay[at]gmail. I need to forward to ModBox team so that they can ship out your February ModBox. If you didn't win it, it's ok.... You can subscribe your own February ModBox <<here>>. It's really affordable and won't burn a hole in your pocket. I think this month's box is really not too bad. I really love the Kiss Me eyeliner and Cellnique Skin Action Sebum Gel. 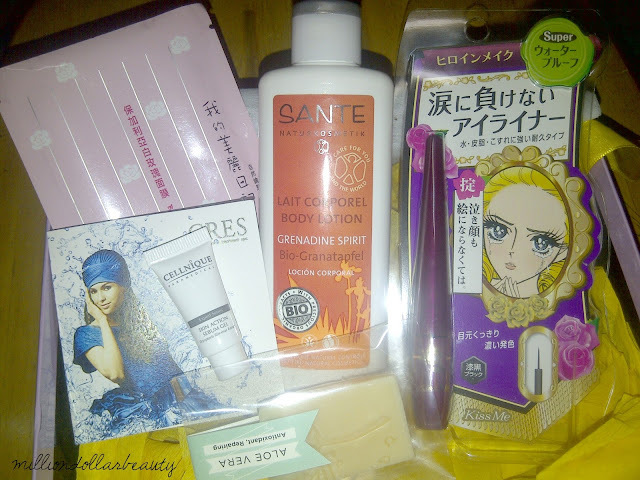 And they have a balanced of skincare and makeup in their box as always. Now, let's get into each of the product. Feel luxuriously moisturised with the homemade goodness of Claire Organics' soaps. Made only from fresh and natural high-quality ingredients such as organic virgin olive oil and essential oils, each soap is manually cut and carefully cured for 45 days. I love handmade soap! 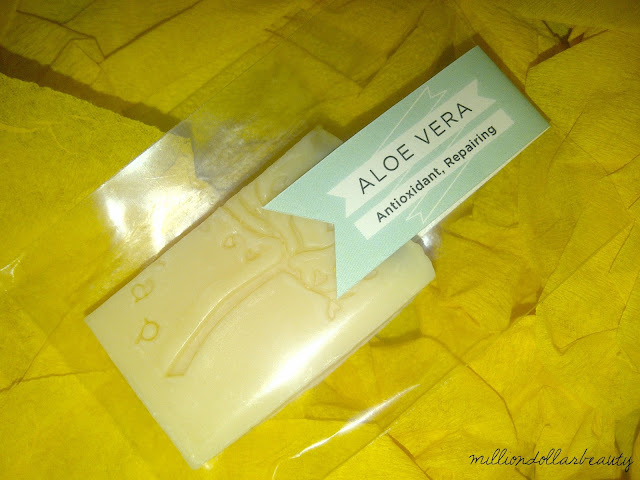 And I'm happy to receive the aloe vera one. It smells really refreshing.... I thought I smell lavender or ylang ylang in the soap but I can't tell for sure. The soap is so pretty. It actually makes me feel so reluctant to use it. Pamper your skin after a long day with SANTE's organic nourishing body lotion. Complete with a harmonishing and memorable scent, it features precious organic camellia oil that is bound to leave your skin feeling irresistibly smooth and soft. I never heard of this brand before. The one that I got is Grenadine Spirit. I really love the texture but not the scent. It smells like fruit cake! And I really hate food scent on my moisturizer. Nonetheless, I am using this as heavy duty hand cream while I'm at work. 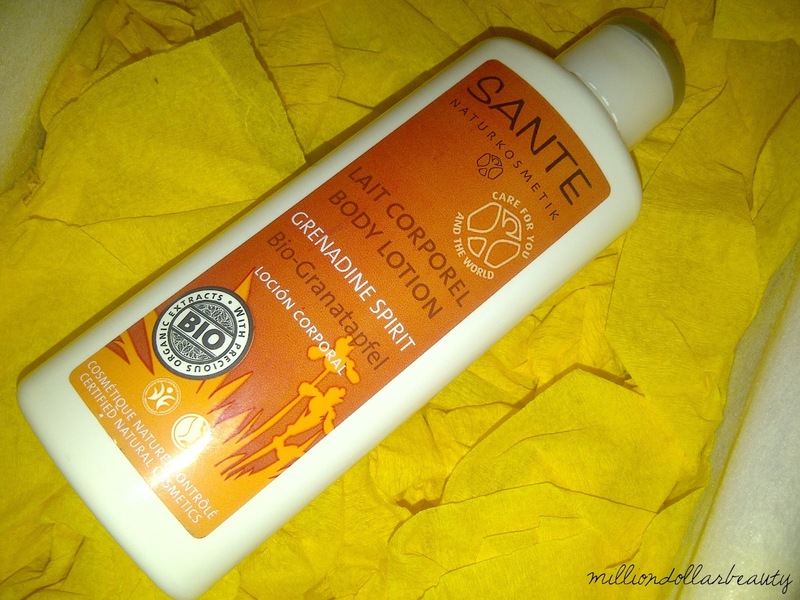 It provides instant moisture and last for a really long time. Voted by you as a must-have-can't-leave-home-without-it item! This long-lasting waterproof eyeliner will take you through an entire day of sweat, tears and rubbin. 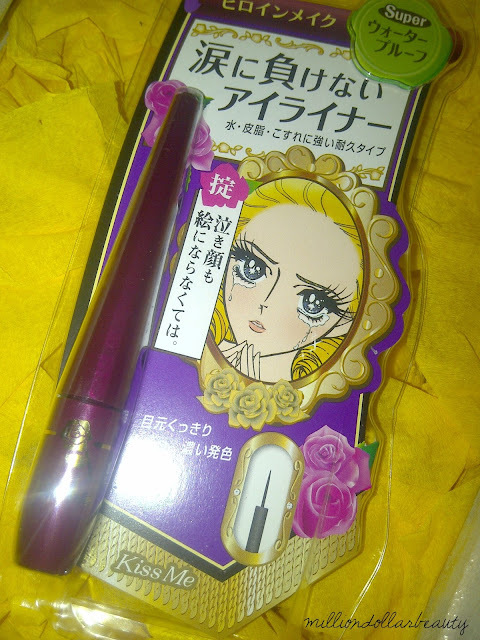 I super love the Kiss Me Heavy Rotation eyeliner. So I think this would be a good one since it is from the same brand. I love the super fine brush, it is so easy to handle. 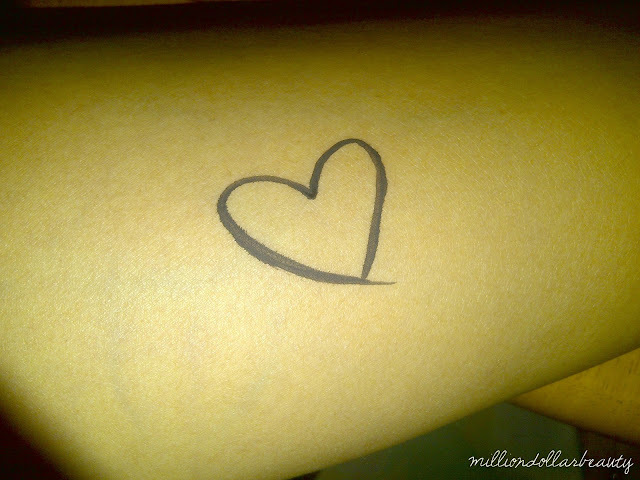 And the ink is jet black and really intense, you don't have to reapply a few times to get a super black line. I will make a comparison post with the Heavy Rotation one soon. Say goodbye to those pesky blackheads and whiteheads! This sebum gel packs a punch with its phyto bio-engineering formulation gel, controlling skin congestion and reducing blackheads to leave you with a clearer, smoother skin. 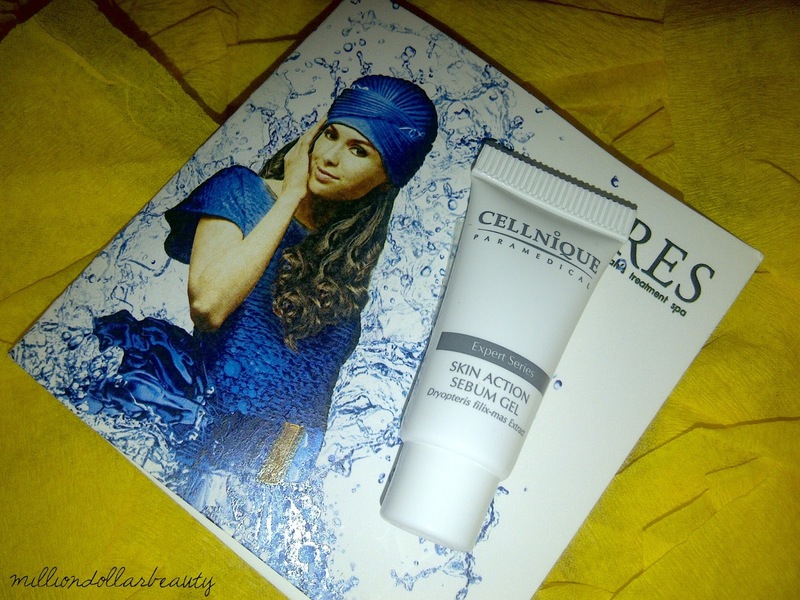 I heard a lot of good reviews on the Cellnique Skin Action Sebum Gel before so I was quite excited to receive this. However, there is no instruction on how to use it on the product card and the tube. I had to google for it. Will try this out and let you guys know if it works. 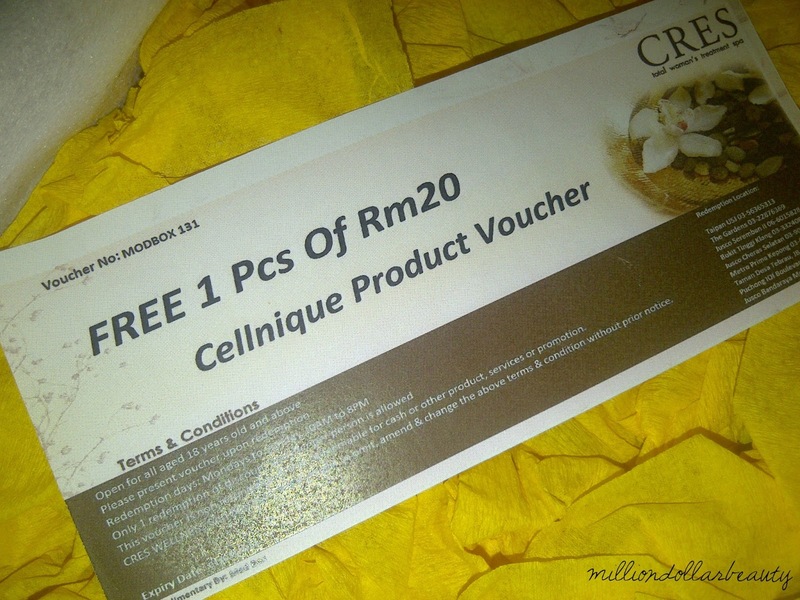 This month's ModBox comes with 1 voucher from Cellnique. The wording of the voucher is really vague. I'm not sure if I can use the voucher and buy a product with RM20 off. Or I have to buy a product and receive another RM20 worth of product for free. Anyone have any idea? Brighten up your skin before a big night out! With white rose hydrosol and kiwi essence, this mask instantly whitens and hydrates skin to give you that radiant glow. 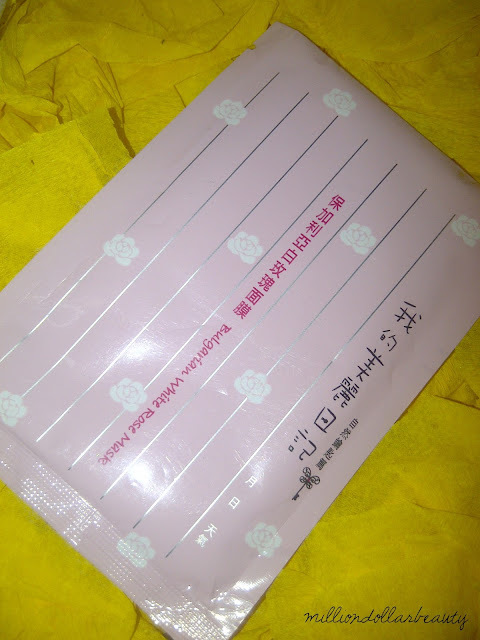 For some reason I don't get too excited to receive sheet mask in my beauty box. So... no comment on this, but I will use it soon. What do you think of this month's ModBox. I personally think it is not a bad one to subscribe....considering it is the cheapest beauty box service and the products they feature good stuff. In terms of monetary value, I think it is worth it. 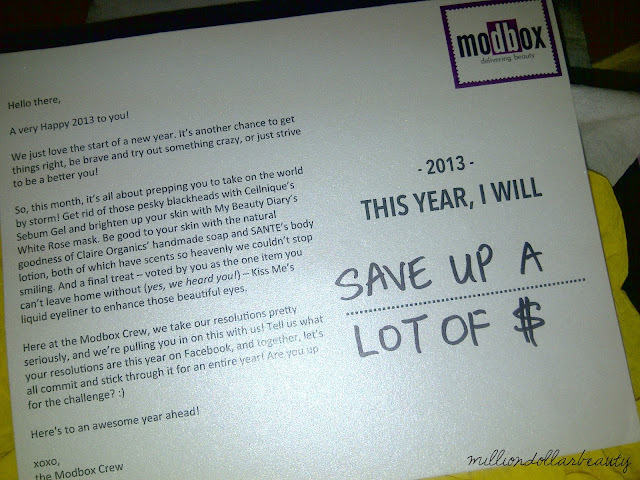 If you're still scouting around for beauty box to try on, do consider ModBox. The eyeliner looks nice - i might get the flat brush liner from KISS ME again when my current one runs dry!!! Congratulations Christine K! Hope you will like the February ModBox. The eyeliner itself already makes it so worth it!! Can't wait for the future ones hehe. Chiee: Yup... I am using the eyeliner currently and loving it.